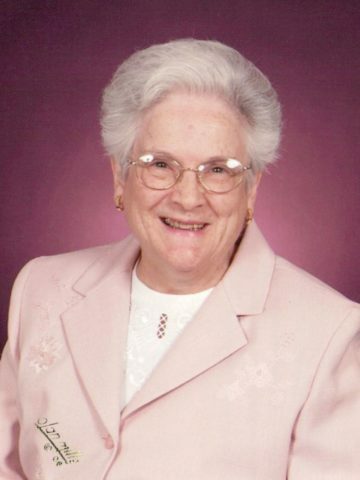 Pauline Martin Coppage, 94, passed away Sunday, February 3, 2019 at her residence in Hendersonville. Born March 17, 1924 in Sumner County, she was the daughter of the late Luther Appling Martin and Myrtle Magnolia Ralph Martin. Pauline was also preceded in death by her husband, Quinton Coppage; her siblings, Lunolia Russell, Noel Martin and Vira Honeycutt; and nieces, Janet Hosale and Judy McPartland. She was retired as manager of the Baptist Sunday School Board Credit Union and had been a member of the New Hope Baptist Church. She was also a member of the Robert Cooke Chapter – D.A.R. ; the Daughters of 1812 – Thomas Hart Benton; Colonial Dames of 17th Century; Eastern Star; Ladies of the Hermitage; Association For the Preservation of TN Antiquities; The Rosemont Association; Historic Cragfont; and Daughters of the American Colonists. Pauline is survived by 11 nieces and nephews; Jimmy D. Russell, Wilburn Honeycutt, Wayne Martin, Luther Honeycutt, Johnny Martin, Marcia Horner, Earl Russell, Denise McCullough, Nancy Grear, Marilyn Blair and Bruce Russell; as well as extended family and friends. Visitation for Pauline will be held at Cole & Garrett Funeral Home, Goodlettsville, Tuesday, February 5th from 4 – 8 PM and Wednesday, February 6th from 12 – 1 PM. A Life Celebration Service will be held at the funeral home, Wednesday at 1 PM followed by burial at the Gallatin City Cemetery. We will miss Ms. Pauline! Miss Polly, you will never know how much I learned from you and how much I admire you. Your charm and beauty always carried the day. I will truly miss you. I will miss visiting with Ms. Pauline. I enjoyed hearing stories she told, especially a funny one about some soup and her grandfather who traveled around teaching music. Ms. Pauline’s mother was a schoolmate of my grandmothers. I remember Ms. Pauline taking her elderly mother to Old Beech for Sunday services. I will always appreciate her for being a friend to my dad. She was naturally beautiful lady. Our prayers are with the family of Ms. Pauline.